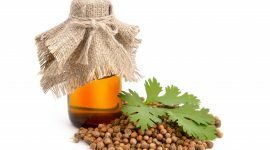 Because coriander is a common herb cultivated in Europe, you can prepare medical-conditioning oil with it. Use of this plant in medicine was known since the Antiquity. After all, coriander influences work of an entire human organism: supports vitamin absorption, removes toxins, calms symptoms of chronic diseases, lowers level of sugar in blood, supports digestion, helps with hypertension, eliminates bacteria transferred and ingested with the food, cures flew and stimulates hair growth. Beside all that, it contains a lot of nourishing ingredients. This herb is rich in: vitamins (A, C, K), minerals (iron, magnesium, potassium, calcium), folic acid, beta-carotene, unsaturated fatty acids and substances eliminating free radicals. How to prepare coriander oil? There are few recipes you can use for preparation of this cosmetic. 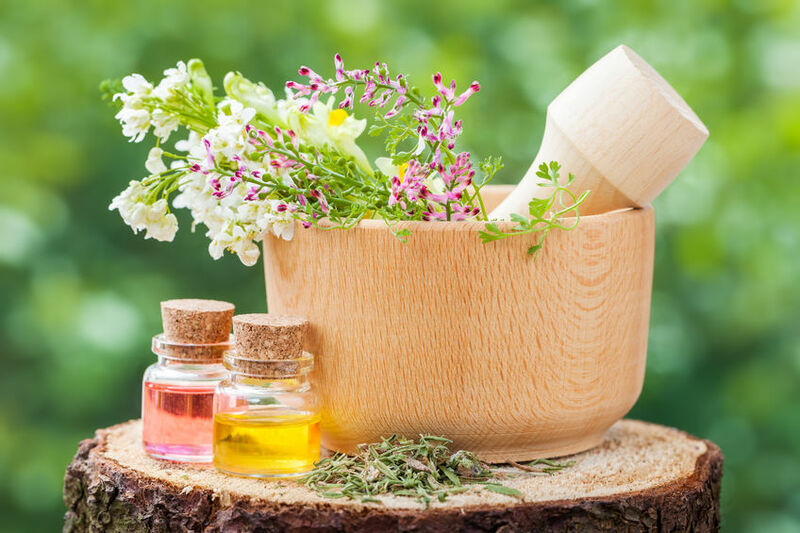 For the first potion you need following ingredients: table spoon of sunflower oil, five drops of rosemary oil and five drops of coriander oil. All ingredients mix and apply on hair and directly on the scalp. The second recipe includes only two ingredients: oil for hair you use everyday and crushed seeds of coriander. Powdered herb add to oil, mix and apply on hair and scalp. To make oil accordingly to the last recipe you should prepare two handful of coriander seeds and about 1l/0.2 gal. of water. The entire thing boil for 10 minutes, then put aside to cool down. Next, strain boiled seeds and put them in a glass jar or a bottle. Lastly, add one table spoon of olive oil. Such prepared specific is suitable for application. And how should you use coriander oil? Application should be performed twice a week until reaching satisfactory effects. Best is to apply coriander oil on dry hair and scalp. After an hour wash hair with delicate shampoo and leave them to dry. Home made cosmetic store in a dark place, away from source of humidity for two weeks. 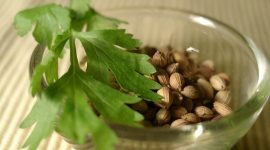 What are expected results of treatment with coriander oil? This plant has nourishing and medicinal impact on hair and scalp. It helps with dandruff and oily scalp. What is more, it provides scalp with natural pH, regulates work of sebaceous glands, eliminates flaking epidermis and prevents proliferating bacteria and yeasts responsible for some of scalp diseases. Coriander oil strengthens hair bulbs, calms irritations and has favourable influence on hair and scalp condition. It supports hair growth, prevents hair loss and split ends.